A work of art can be rich in symbolism, complex in meaning. How can we fully understand what its creator wanted to sayespecially when we’re so distant in time from a painter’s era? This fascinating guide helps, by looking at and decoding the key figures, themes, events, and symbols that form the subject matter of major Western paintings. Strikingly illustrated with 75 masterpieces, it’s the ideal companion for art lovers, gallery goers, and students. 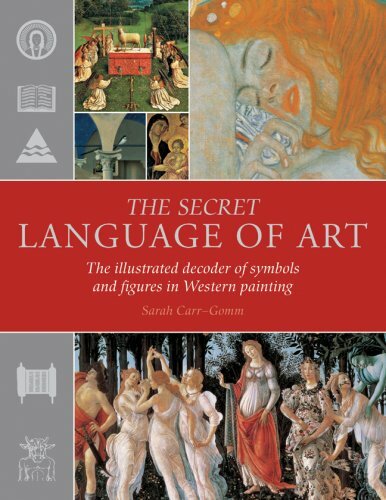 Authoritative, informative, comprehensively cross-referenced, and easy to use, The Secret Language of Art covers five major areas: Classical Myth and Legend; The Bible and the Life of Christ; Saints and their Miracles; History, Literature, and the Arts; and Symbols and Allegories. Each chapter includes a portfolio of images, followed by a thematic directory of figures and symbols. The works analyzed include Boticelli’s Venus and Mars; Caravaggio’s The Young Bacchus; Bruegel’s The Fall of the Rebel Angels; da Vinci’s Virgin and Child with Saint Anne; Rembrandt’s The Anatomy Lesson; and Picasso’s seminal anti-war work, Guernica. If you have any questions about this product by Brand: Duncan Baird, contact us by completing and submitting the form below. If you are looking for a specif part number, please include it with your message.